On completion of the online registration form, you will be allocated a temporary library card number. You are then required to pick up your new library card at your local Idea Store or library. Don't forget to bring along proof of your name and address. When you pick up your card, you will be asked to read our Rules and Regulations, before signing – the signing of your card means that you are accepting our Rules and Regulations. Your personal details are required for the creation of a library account. This information is held on a common database shared by London Libraries Consortium [LLC] authority members. It is password protected and only accessible to Idea Store and LLC staff.. Details of all completed transactions i.e. items borrowed and returned, are kept within the system for two years and details of non-completed transactions i.e. items borrowed and not returned are kept for six years. You can sign-in to our online catalogue to view the last 18 months of your borrowing history. We collect and use depersonalised details, which do not identify you as a named individual for statistical analysis of our services, such as Idea Store Online usage and the number and type of library items borrowed. This allows us to review and provide better services. 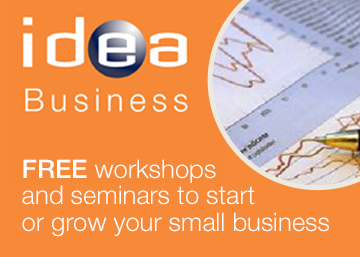 • You can choose to opt-in or opt-out to receive marketing emails that alert our members to new services and Idea Store courses that may be of interest. You can opt-out of receiving marketing communications at any time by using the ‘Unsubscribe’ link at the bottom of the marketing emails. You can borrow up to 12 items as soon as you join and enjoy free access to the Internet. Renew your items online or by calling the 24 Hour Telephone Renewals Line [charged at a UK local call rate] 0333 370 4700. View the list of library charges. 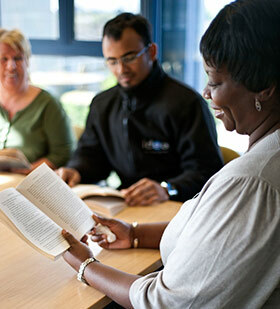 Download a copy of Tower Hamlets' rules and regulations. 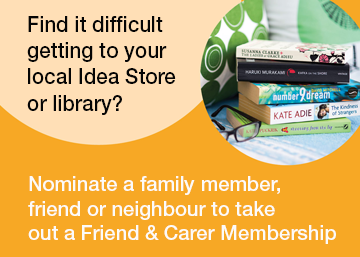 Do you find it difficult getting to your local Idea Store or library? Have you considered nominating a family member, friend or neighbour to take out a Friend & Carer Membership? Idea Store members get a 2 for 1 ticket offer for films at the east end's historic Genesis Cinema.Just show your library or Idea Store card and a form of identification when collecting tickets at the box office. Exclusive to Idea Store members; see a film for £6 every Tuesday and Wednesday at Rich Mix. If you are a resident of Tower Hamlets you can visit the Tower of London for just £1. To take advantage of this special offer all you need to do is take along your Idea Store card along with your proof of name and address e.g. a utility bill or bank statement. Then you can explore all the delights the Tower of London has to offer for just one pound.